The annual reports on New Zealand’s Emissions Trading Scheme (NZ ETS) and Synthetic Greenhouse Gas (SGG) levy have been released by the Environmental Protection Authority (EPA). The reports detail reported emissions, transfers of units to and from the Crown, details of SGG levies paid, and the level of compliance within the scheme. 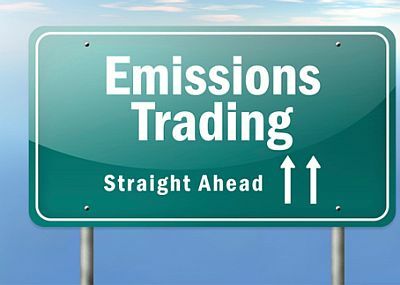 The EPA also provides regular updates on transactional elements and unit holdings of the carbon market both via reports available from the New Zealand Emissions Trading Register (the Register), and the EPA website. The EPA is working with the Ministry for the Environment to improve the availability and accessibility of NZ ETS information. View the annual ETS reports on the EPA website. - The number of units surrendered has increased from previous years. Non-forestry participants have been required to pay one emissions unit for every two tonnes of carbon dioxide equivalent emissions for activity prior to 1 January 2017. A phase-out of this one-for-two transitional measure of the NZ ETS means non-forestry participants are now required to surrender more units for the same emissions. - Changes to the levy rate mean that there has been an increase in synthetic greenhouse gas levies collected from importers of hydrofluorocarbons (HFC) and perfluorocarbons (PFC) contained in goods. From 1 July 2016 to 30 June 2017, the synthetic greenhouse gas levy resulted in $3,417,269 NZD collected. From 1 July 2017 – 30 June 2018, $8,897,000 NZD was collected. - Five sectors have obligations to report and surrender units in the NZ ETS for their emissions: Forestry, Stationary Energy, Industrial Processes, Liquid Fossil Fuels and Waste. Agriculture is required to report emissions but do not face an obligation to surrender units.